Gal Meets Glam is now available in Canada at our Boutique! 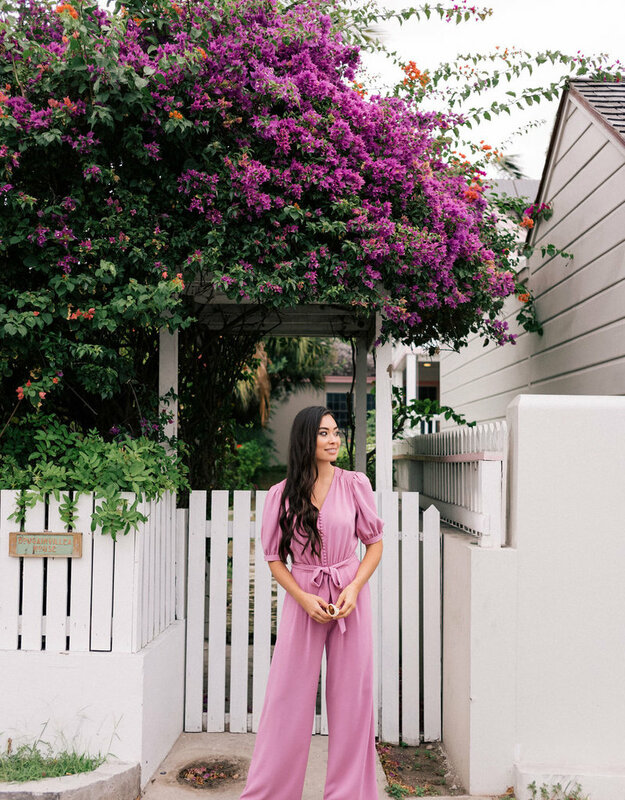 Breeze through the weekend in our orchid Gabriella jumpsuit. Its flowy shape, covered buttons, tie waist, and cinched shoulder detail create a look that is both relaxed and undeniably elegant. Short sleeve, side pockets, v-neckline, centre back invisible zipper. Fabric: 100% Polyester. Charleston Crepe. Partially lined. Dry Clean. Centre back neck to hemline is 59 3/4"